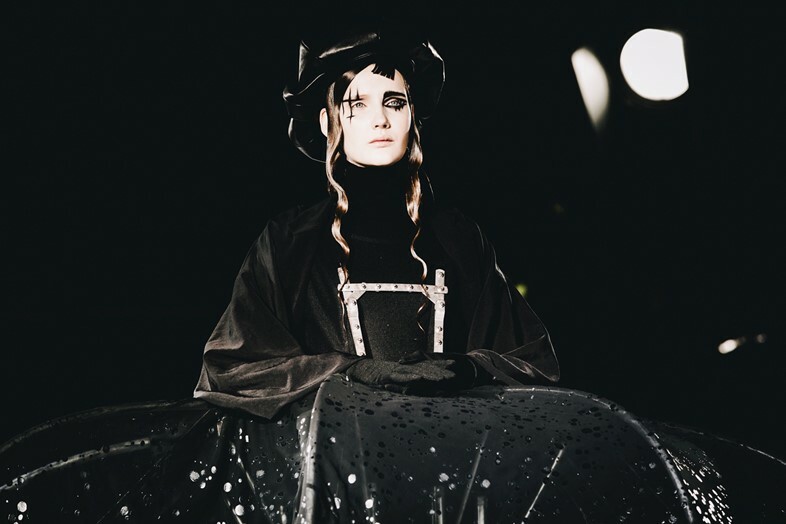 If the androids from Blade Runner staged an art-fashion show. 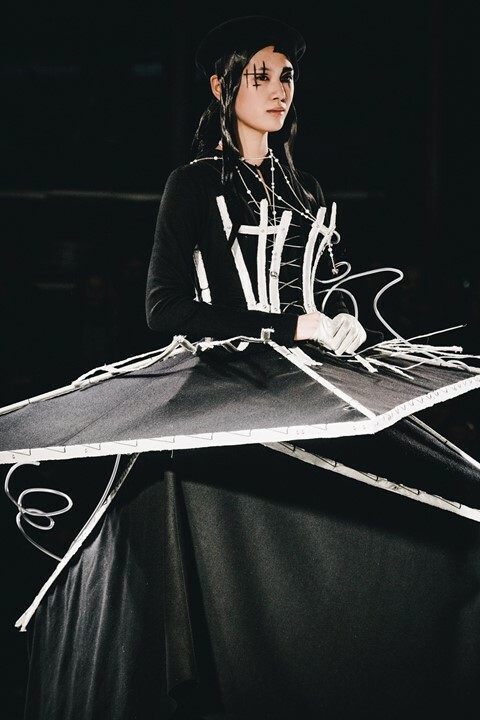 What started in Yohji Yamamoto’s mind with classical Grecian draping ended in exploded, parachute silhouettes, constructed with visible scaffolding to look like they were very deliberate works in progress. Tent-like skirts were seemingly suspended in mid-air, attached to models’ bodies by straps and exteriorised corseting. Flowing combinations of knitwear and velvet draped over shoulders and faces, and seemingly dripping sleeves that were reminiscent of historical Kimonos. It was a testament to the power of materials, as silhouettes from past ages came together in a dark and serene celebration of dress. With perfectly gelled hair falling as spirals to framed the face and wide-brimmed hats, almost like a stylised take on the traditions of Orthodox Judaism. Japanese characters were scribbled across necks, and Siouxsie Sioux eyeliner was combined with vertical lines across eyelids.